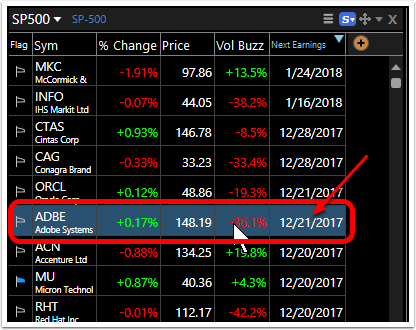 A sortable column allows a stock's Next Earnings date to be viewed as a date column in the WatchList. 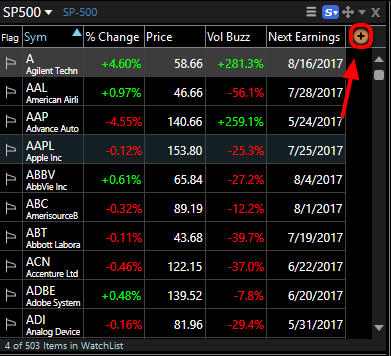 Sorting by the date can bring the stocks with the nearest or farthest Next Earnings date to the top of the WatchList. Here are the steps to adding and sorting by Next Earnings. 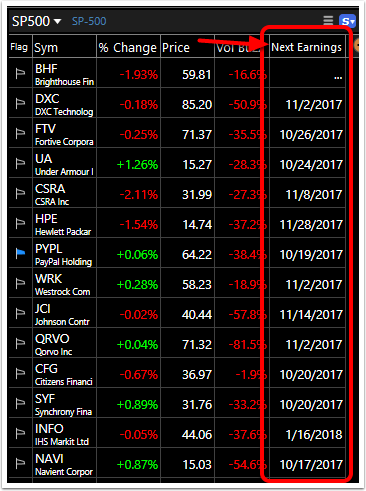 This sorts the list in descending order (largest to smallest values) which puts the farthest Next Earnings dates at the top of the WatchList. 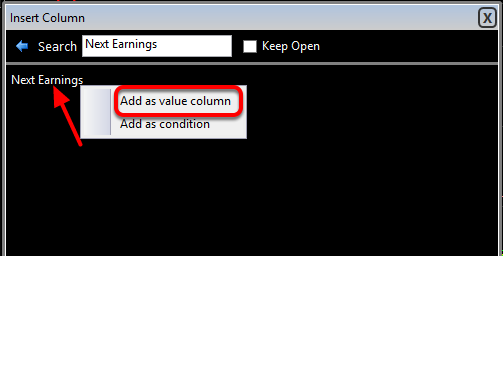 Click the Next Earnings column header a second time to reverse the order of the sort (ascending: smallest to largest value). 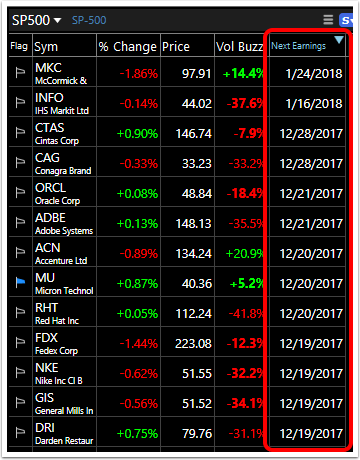 This will put the nearest Next Earnings dates at the top of the WatchList.